Outspoken and provocative, double Hugo Award-winning essayist Kameron Hurley writes with passion and conviction on feminism, geek culture, the rise of women in science fiction and fantasy, and the diversification of publishing. Her work as appeared in venues such as The Atlantic, Locus, and Tor.com. Winner of the 2017 BSFA and Locus Awards, The Geek Feminist Revolution is Hurley’s manifesto and her call to arms, her life story and her moving personal experiences. While her essays focus on the ongoing conversation within the science fiction community about the future of the genre, Hurley writes in a way that resonates with everyone. Her essays are universal. Assembled herein are dozens of entries from her blog, including the 2014 Hugo Award-winning “We Have Always Fought” and nine new essays written specifically for this collection. 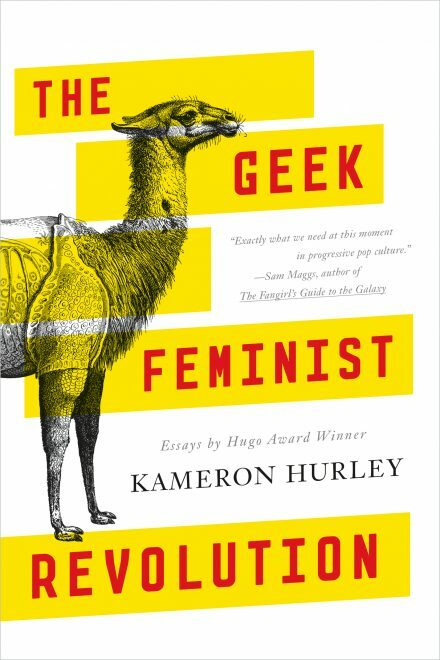 Startling in its openness and honesty, The Geek Feminist Revolution will captivate you from the first page with its wit and gravitas, its rage and its joy, its tactical profanity and moving eloquence.